Just to share some good news. 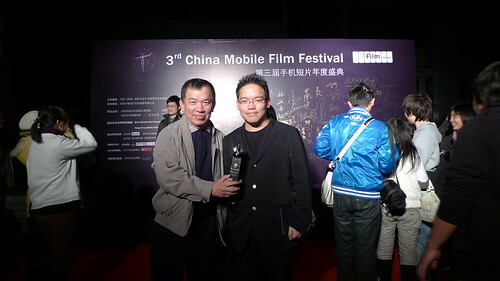 I picked up the Best Director Award for my short film LOVE SUICIDES at last week's China Mobile Film Festival in Shenzhen. I was the only filmmaker with two short films in competition at the festival, LOVE SUICIDES and the more-heralded KINGYO. Even so, I always felt that LOVE SUICIDES was a casualty of KINGYO's popularity. Despite having its world premiere at Paris Cinema Film Festival in July, and then being invited for competition at the Festival internazionale del cinema d’arte and Split International Film Festival, the media attention garnered by KINGYO after its Venice Film Festival selection turned LOVE SUICIDES into an afterthought, or a footnote, of my own filmography. And then, when FLEETING IMAGES unexpectedly won the Grand Prix earlier this month at the CON-CAN Movie Festival, I feared LOVE SUICIDES had been pushed even further into obscurity. 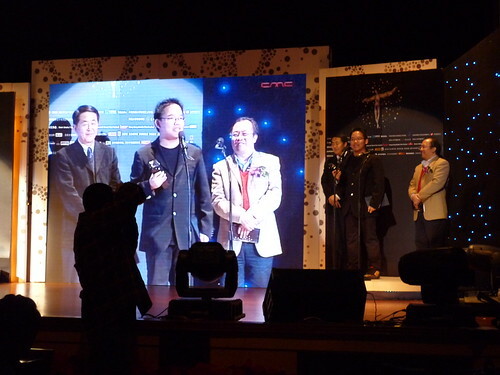 Therefore to be given the award was a very pleasant surprise. It's an unbelievable month to end an unbelievable year. Four awards for three different short films in one month? Wow, just wow. It also mean that all four of my short films had picked up an award of sorts since their release, it's inconceivable. But I'll cherish this moment while it lasts. Not winning awards, but that I can still make films. 3 days from now. On the 28th. I'll be shooting my new short film EXHALATION. My 7th short film of the year.